If you’ve got kids in elementary, middle or high school, confidence is probably a major issue. Whether there’s too much, too little, or somewhere in-between, raising children who believe in themselves along with respecting others is probably one of the most difficult parts of parenting. While major areas like social activities, after-school clubs and fashion may be obvious factors that affect self-worth and confidence, it’s important to remember that small things can add up. Oral health often flies under the radar, but it can end up having a major impact on how your child feels about themselves. 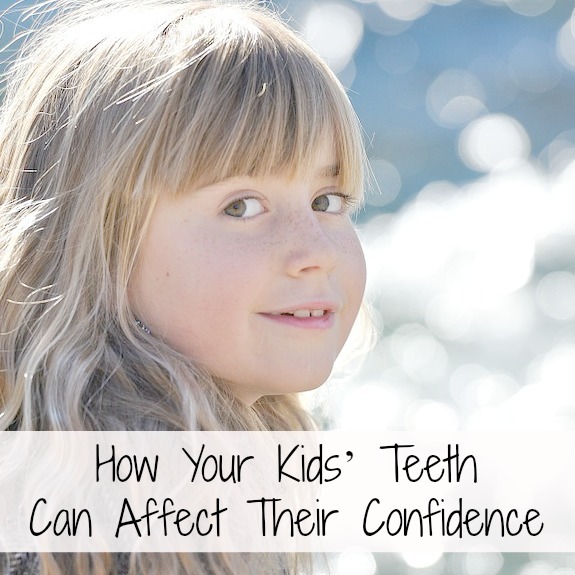 Not only does the physical appearance of our teeth affect our confidence, but dental care itself is a fantastic vessel with which to teach your children important lessons that will build them to be stronger humans. Below are the three main areas to keep in mind as you’re helping your kids help themselves. Our kids live in a society that forces them towards unrealistic standards. Magazines, TV shows, movies, books and thousands of media posts push our kids into thinking they need to achieve unrealistic bodies to gain the respect of their peers. Obvious issues like weight, breast size, height and complexion may tumble around in your child’s head, but teeth color is something that affects us all subconsciously too. While movie stars undergo expensive bleaching treatments that lead to pristine looking teeth, the fact of the matter is natural teeth are never supposed to get that white in the first place. The natural color of our teeth is mainly determined by our genes. Enamel, the outermost layer of our teeth, is actually completely translucent. The color that we see is the color of our second teeth’s second layer, the dentin. While healthier teeth tend to be between somewhere between a slight yellow and an off-white color, it’s completely normal to have healthy teeth that are deeper shades of yellow. Make sure your kids understand what healthy teeth look like and crush those unrealistic movie star expectations. The road to healthy teeth is paved by dedication. There are thousands of products on the market that claim to keep our mouths healthy and absolutely none of them will work if we don’t brush, floss and rinse every day. Studies show that the more we keep ourselves disciplined, the easier keeping ourselves disciplined becomes. It’s just like a muscle – the more you use it, the stronger it is. Oral health is a fantastic way to teach your kids to discipline themselves and keep on a regular routine. Having them brush twice a day for two minutes each, floss and rinse will show them the effect a bit of dedication can have. The earlier you start this, the better effect it will have. Use the success they have with their teeth to show them what they can achieve in other areas of life. The better they understand what a bit of structure can achieve, the better they’ll feel about themselves. Whether it’s preventing tooth decay, realigning teeth with braces, improving gum health, a bit of whitening, or flossing, oral health is a long-term game. Almost nothing can be improved overnight – it takes patience. Contrast that with today’s instant, digitally connected world and you have yourself a fantastic opportunity for a lesson. Understanding how to build yourself up is half the battle of actually getting there. Use the steady improvement of your kids’ teeth to show them the success they get from dedicating themselves to a task for several months. It’s an important lesson to learn, and one that regular dental care is very effective at teaching. We don’t often think of oral care as a way to teach our kids, but it’s one of the earliest and most prominent health routines that we establish as children. Use this repetitious task to help your kids understand the value of dedication, discipline and hard work. Make sure they understand what natural, healthy success looks like and then guide them along the path to having a healthy smile. You’ll be surprised at how it helps them!